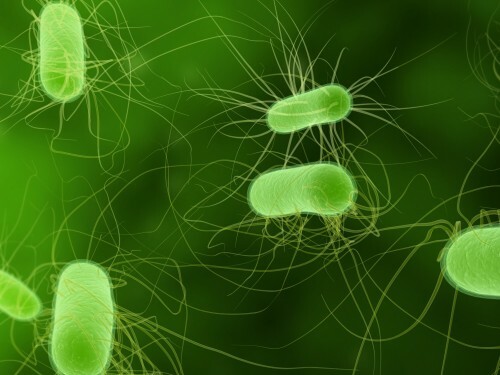 Tip 1: Preventing Foodborne Illness on the Farm: A total of 72 people, including five living in Ohio, have been infected with the same strain of E. coli bacteria in a recent outbreak: E. coli O103. The investigation is ongoing and no specific food item, grocery store, or restaurant chain has been identified as the source of infections. Melanie Ivey, a fruit pathology and fresh produce safety specialist with The Ohio State University College of Food, Agricultural, and Environmental Sciences (CFAES), can answer questions about how transmission of bacteria and viruses can occur on the farm and can offer ways to prevent that. Also, Ohio State University Extension, the outreach arm of CFAES, hosts workshops on good agricultural practices, or GAPs, to teach farmers and their staff how to prevent the spread of foodborne illnesses. Ivey can be reached at ivey.14@osu.edu or 330-263-3849. For more information, see producesafety.osu.edu. Tip 2: From Offbeat Idea to Media Hit: CFAES senior Meghann Winters was the youngest staff member of the Ohio Pork Council when she helped develop a vending machine that sold bacon and became an instant media hit. Winters found and retrofitted a used vending machine to do the job, then wrote a press release about the machine, triggering national and international media attention. When TV’s Fox and Friends learned of the machine, they invited Winters on the set for a live interview. For an article about Winters, which can be republished, visit go.osu.edu/bacon. 8 Environmental Professionals Network Signature Event, “Women in Conservation,” 7–8:30 p.m., Archie M. Griffin Grand Ballroom, Ohio Union, 1739 N. High St., Columbus, Ohio. A conversation with Frances Beinecke (former president, Natural Resources Defense Council, and winner of the 2007 Rachel Carson Award) and Michelle DePass (CEO, Meyer Memorial Trust, and former senior official, U.S. Environmental Protection Agency) about climate change, environmental justice, and the role of women in environmental conservation. Free and open to the public, no registration required. Details: go.osu.edu/Cqy7. 11 Produce Safety Alliance (PSA) Training, 9 a.m. to 5 p.m., Jackson Township Community Building, 10613 Mahoning Ave., North Jackson, Ohio. Designed to meet the Produce Safety Rule training requirement of the Food Safety Modernization Act (FSMA). Free for Ohio residents; $85 for out-of-state residents. Details: go.osu.edu/CqzD. 11 Farm Bill Summit, 6:30–9:30 p.m., Versailles High School, 280 Marker Road, Versailles, Ohio. An in-depth examination of policy and practical applications with agricultural economists from Mississippi State University, University of Missouri, and University of Illinois. Free, but registration is required. Details: go.osu.edu/Cpkg. 12–14 Friends of Stone Laboratory Spring Work Weekend, Stone Laboratory, Put-in-Bay, Ohio. Volunteer work weekend at Ohio State’s island campus on Lake Erie. Overnight registration is now wait-list only, but participants are welcome for the day on April 13. Free, but paid ferry ride to Put-in-Bay is needed. Details and registration: go.osu.edu/CuEB. 13 Buckeye Bonanza Horse Sale and Open House, 10 a.m. to 3 p.m., Ohio State Equine Center at Don Scott Field, 3658 Kays Road, Dublin, Ohio. Ohio State students will be on hand to answer questions and demonstrate their equine skills. A petting zoo, wagon rides, and other fun activities will be offered for the whole family. Details: go.osu.edu/CsqQ. 13 Fruit Tree Pruning Clinic, 1–3 p.m., White House Fruit Farm, 9249 State Route 62, Youngstown-Salem Road, Canfield, Ohio. A discussion of tools and demonstrations of pruning both new and established trees. Preregistration required. $20 registration fee per person includes a set of hand pruners (or folding pruning saw for lefties only) and materials. Details: go.osu.edu/CpkQ. 15 Nathan Fechheimer Memorial Lecture Series in Animal Breeding and Production, “Specialized Diets for Pets: Options and Considerations,” 11 a.m., 212 Animal Science Building, Ohio State, Columbus, Ohio, with videolink to 122 Gerlaugh Hall, OARDC, CFAES Wooster Campus, 1680 Madison Ave., Wooster, Ohio. Features Kelly Swanson, professor, Department of Animal Sciences and Division of Nutritional Sciences, University of Illinois. Free. Details: go.osu.edu/CqzX. 15 Good Agricultural Practices (GAPs) Training,1–4 p.m., Blooming Grove Auction, 1091 Free Road, Shiloh, Ohio. Covers GAPs that reduce the risk of on-farm produce contamination. Registration: $30. Registration deadline: April 8. Details: 330-725-4911, ext. 106; go.osu.edu/CuED. 16 Produce Safety Alliance (PSA) Grower Training Course, 8 a.m. to 5 p.m., Methodist Theological School Ohio Campus, 3081 Columbus Pike, Delaware, Ohio. Designed to meet the Produce Safety Rule training requirement of the Food Safety Modernization Act (FSMA). Free for Ohio residents; $85 for out-of-state residents. Registration deadline: April 11. Details: go.osu.edu/CuEJ. 16 Nathan Fechheimer Memorial Lecture Series in Animal Breeding and Production, “Dietary Manipulation of the Dog and Cat,” 11 a.m., 122 Gerlaugh Hall, OARDC, CFAES Wooster Campus, 1680 Madison Ave., Wooster, Ohio, with videolink to 212 Animal Science Building, Ohio State, Columbus, Ohio. Features Kelly Swanson, professor, Department of Animal Sciences and Division of Nutritional Sciences, University of Illinois. Free. Details: go.osu.edu/CqzZ. 17 Good Agricultural Practices (GAPs) Training, 4–7 p.m., Drake Hall, 33 Greeley St., West Salem, Ohio. Covers GAPs that reduce the risk of on-farm produce contamination. Registration: $30. Registration deadline: April 10. Details: 330-264-8722, go.osu.edu/Cqzj. 18 Russell Klein Memorial Nutrition Research Symposium, 8 a.m. to 5 p.m., Nationwide and Ohio Farm Bureau 4-H Center, 2201 Fred Taylor Drive, Columbus, Ohio. Three guest speakers from the Cleveland Clinic, University of Arizona, and University of California-San Francisco. Registration deadline: April 5. Details: go.osu.edu/Cr8b. 20 Family Passport to Fishing, 10 a.m. to 1 p.m., Chadwick Arboretum & Learning Gardens adjacent to Nationwide & Ohio Farm Bureau 4-H Center, 2201 Fred Taylor Drive, Ohio State, Columbus, Ohio. Free fishing, with rods and bait provided, plus skill stations teaching casting, knot tying, rigging, and fish handling. Free admission with lunch included. Registration limited to 50 youth. Register by April 6 by emailing BuckeyeAFS@gmail.com. Details: go.osu.edu/CuEN. 23 Produce Safety Alliance (PSA) Grower Training Course, 9 a.m. to 5 p.m., Perry Public Library meeting room, 3753 Main St., Perry, Ohio. Designed to meet the Produce Safety Rule training requirement of the Food Safety Modernization Act (FSMA). Free for Ohio residents; $85 for out-of-state residents. Registration deadline: April 12. Details: go.osu.edu/CuEQ. 26 Arbor Day Celebration, 10 a.m., Kottman Hall west entrance, 2021 Coffey Road, Ohio State, Columbus, Ohio. A celebration of trees and the people who plant and care for them hosted by CFAES’ Chadwick Arboretum & Learning Gardens, featuring speaker Joe Blundo, columnist with the Columbus Dispatch. Free admission and refreshments. Details: go.osu.edu/CuEV. 27 Spring Gardening Workshop, 9 a.m. to 3 p.m., Canfield Fairgrounds, Arts and Crafts Building, 7265 Columbiana-Canfield Road, Canfield, Ohio. Registration: $40; includes lunch and proceedings. Register ASAP by calling 330-533-5538. Details: go.osu.edu/CpkZ. 28 Spring Migration Birding Event, 8 a.m., Shenango Wildlife Area, State Route 7, Kinsman, Ohio. Observe and photograph the variety of migratory birds at one of Audubon’s important bird areas in Ohio. Meet at Shenango Wildlife Area parking lot off of Milligan East Road. Free event held rain or shine. Details: go.osu.edu/Cpkd. 30 Ohio Fertilizer Applicator Certification, 6–9 p.m., Mahoning County office of OSU Extension, 490 S. Broad St., Canfield, Ohio. $30 per person. Call 330-533-5538 to register. Details: go.osu.edu/Mahoningfertcert. 1 Leadership Institute: Effective Coaching and Emotional Intelligence, 9 a.m. to 2:30 p.m., Nationwide and Ohio Farm Bureau 4-H Center, 2201 Fred Taylor Drive, Columbus, Ohio. Registration: $415 for the general public, $395 for OSU employees. Details: go.osu.edu/Cr8d. 8 Challenges and Opportunities for Economic Development in Ohio, 8:30 a.m. to 1 p.m., Fawcett Event Center, Ohio State, 2400 Olentangy River Road, Columbus, Ohio. Presentations by speakers from CFAES, Ohio State, and local government. Keynote talk titled “Does an Urbanizing World Still Need Rural America?” by CFAES’ Mark Partridge, Swank Chair in Rural-Urban Policy; professor, AEDE; and president, Regional Science Association International. Free admission; lunch included. Registration deadline: May 2. Details: go.osu.edu/CuEn. 8 Tree Walk, 1–2 p.m., Seaman Orientation Plaza, Secrest Arboretum, OARDC, CFAES Wooster Campus, 1680 Madison Ave., Wooster, Ohio. Features a range of tree-related topics including selection, planting, pests, and diseases. Free, no reservations required. Details: 330-263-3761. 9–11 Spring Plant Sale and Auction Fundraiser, northwest corner of Lane Avenue and Fred Taylor Drive, Ohio State, Columbus, Ohio. Plant sale and auctions benefitting CFAES’ Chadwick Arboretum & Learning Gardens. May 9, 5:30–8:30 p.m.: Presale and preview party for Friends of Chadwick Arboretum members only; unusual tree and shrub auction at 6 p.m. May 10, 9 a.m. to 7 p.m.: Public sale; unusual tree and shrub auction at 4 p.m. May 11, 9 a.m. to 3 p.m.: Public sale; unusual tree and shrub auction at 10 a.m. Free admission. Details: go.osu.edu/CuGD. 10 Plant Discovery Day Presale, 3–4 p.m., Secrest Welcome Center, Secrest Arboretum, OARDC, CFAES Wooster Campus, 1680 Madison Ave., Wooster, Ohio. Plant sale presale and free admission for members of Friends of Secrest Arboretum only. Proceeds benefit CFAES’ Secrest Arboretum. Details: go.osu.edu/CuGV. 11 Plant Discovery Day Plant Sale and Secrest Welcome Center Open House, Secrest Welcome Center, Secrest Arboretum, OARDC, CFAES Wooster Campus, 1680 Madison Ave., Wooster, Ohio. 9 a.m. to 1 p.m.: Plant sale and auctions benefitting CFAES’ Secrest Arboretum. 1–3 p.m.: Open house for new Secrest Welcome and Education Center. Talks, food trucks, and arboretum tours throughout the event. Free admission. Details: go.osu.edu/CuGg. 16 Private Pesticide Applicator Testing, testing begins at 10 a.m., Portage County Office of OSU Extension, 706 Oakwood St., Room 101, Ravenna, Ohio. Details: go.osu.edu/Cr8z. 18 Simply Nature for Families, 10:30-11:30 a.m., Secrest Welcome Center, OARDC, CFAES Wooster Campus, 1680 Madison Ave., Wooster, Ohio. Children will be led through several outdoor activities and receive a take-home kit to connect the park experience with backyard nature. Activities are free, but please call 330-263-3968 by May 15 to register. Intended audience is children ages 5–10, accompanied by parents, grandparents, or other caregivers. Details: go.osu.edu/Cr8v. 22 New Pesticide Applicator Training, 8:30 a.m. to 3:30 p.m., Ohio Department of Agriculture, 8995 E. Main St., Reynoldsburg, Ohio. Cost: $35 morning session, $30 afternoon sessions. Preregistration encouraged; on-site registration by cash or check only. Details: go.osu.edu/Csqn. 22 Herbs and Perennials Workshop, 9:30 a.m. to 3 p.m., Miller Pavilion, Secrest Arboretum, OARDC, CFAES Wooster Campus, 1680 Madison Ave., Wooster, Ohio. Cost: $40 arboretum members, $45 non-members. Details and to register: go.osu.edu/Cr85. Contact: Paul Snyder, snyder.1062@osu.edu, 330-263-3761.